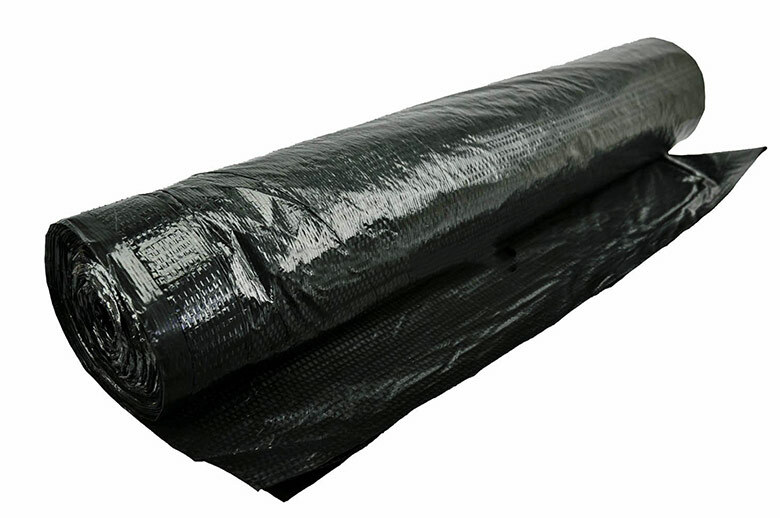 To repair a mobile home under belly and/or replace mobile home insulation you will likely need some polyethylene underbelly material (a black tarp-like material), belly repair tape, or both. This material is found on the bottom of most manufactured homes built since the 1980’s. The material we offer on our site can be used to patch your existing underbelly, or as a replacement for any underbelly. What is an Under Belly? The underbelly of a manufactured home has many terms. By definition, it is the bottom side of a manufactured home. It protects the insulation and keeps out moisture and pests. The mobile home underbelly has several names such as bottom board, belly, barrier, bottom wrap, sheeting, belly paper, closure paper, belly board — perhaps some others that are used regionally as well — you get the picture. First cut a piece of polyethylene slightly larger than the hole being patched. Clean around the area to be patched. 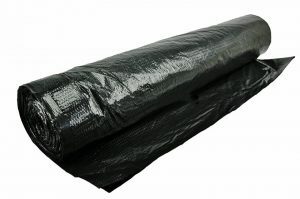 Add insulation up in the belly, or attach insulation directly to the polyethylene. When attaching insulation to the polyethylene, use insulation with a paper (kraft) backing and attach with silicone. Secure polyethylene up to the belly using Flex-Mend™ tape on all sides. Hint — start by using small strips of Flex-Mend to hold the polyethylene up in place. Apply some heat to the Flex-Mend tape for a faster bond. Replacing an underbelly is probably one of the most difficult repairs on a manufactured home, mostly because of the lack of working room. Most underbelly’s have to be tacked at the edges and allowed to hang in the middle. 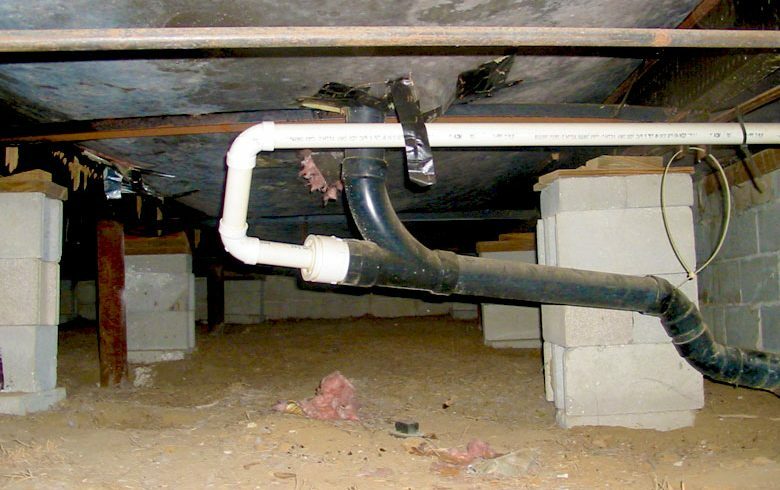 Pipes and ductwork tend to hang down on most mobile homes, which must be covered by the underbelly material. Patching is always easier than replacing. But if your home is beyond patching, here’s some tips. Keep in mind that all homes are different, so common sense must prevail. In most cases you won’t be able to feed the polyethylene over the main I-beams. So work in between the beams. On the very outside edge, attach the polyethylene to the rim joist. Wrap the edge of the polyethylene in a lathe strip and nail or screw it up. If you choose to nail, an air-nailer will be a life saver when working in such a tight space. When working alongside a main I-beam, you should be able to attach the lathe to the floor joists as the top of the I-beams are flat against the floor joists. Carefully cut around pipes. Seal tightly using Flex-Mend™ tape. For a neater job, unhook as many things as you can like sewer pipes, cross-over ducts, water lines etc. Good Luck — You’ll Need It! Polyethylene belly material can be ordered in two ways. You can order it to any length you need, or just buy the whole 80′ roll. All widths are 192 inches. To custom order any length, click on “order here” and find the item in the list and select “order now”. For the quantity, enter the number of linear feet you desire. Linear feet is how long of a roll you want. If you enter 12 feet, you will receive a piece that’s 192″ wide x 12′ long.